Let’s face it, few things serve to grab our attention at a car show or cruise night more than a car with a thumping, high performance idle. In fact, one of the most frequent questions fielded when customers call the CAM HELP® tech line is “what cam will give my engine a mean-sounding idle?” In response to this popular demand, the COMP Cams® engineering team proudly introduces the Thumpr™ series of camshafts. The Thumpr™ Camshafts are a new series of hydraulic flat tappet designed for use in Small & Big Block Chevy, Ford 351 Windsor and Small Block Chrysler engines. The reason that the new Thumpr™ Camshafts have such an aggressive exhaust note is that the lobe profiles and grind characteristics chosen by the COMP Cams® engineers produce a combination of early exhaust valve opening, long exhaust duration and a generous amount of intake and exhaust overlap to maximize the rough-idling characteristics of the cams without negatively impacting the power output or streetability. Thumpr™ Hydraulic Roller Camshafts for 1987-1998 305-350 Originally Equipped With Hydraulic Roller Camshaft & Most Crate Engines, Except LT1 and LT4. 2200-5900 RPM Range. Thumpr™ Hydraulic Roller Camshafts for 1987-1998 305-350 Originally Equipped With Hydraulic Roller Camshaft & Most Crate Engines, Except LT1 and LT4. 2500-6200 RPM Range. 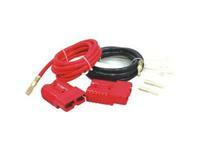 Hydraulic-(Thumpr™) High performance street, stock converter ok, best with 2000+ converter and gears, choppy/thumping idle. 1800-5600 RPM Range. Hydraulic-(Mutha' Thumpr™) High performance street/strip, needs 9:1 CR, 2400+ stall, intake, gears, and headers, rough idle. Thumpr™ Hydraulic Flat Tappet Camshafts. 2000-5900 RPM Range. Hydraulic-(Big Mutha' Thumpr™) Street/strip, needs 9.5:1 CR , 2800+ stall, intake, gears, and headers, very rough idle. 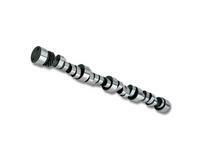 Thumpr™ Hydraulic Flat Tappet Camshaft. 2300-6200 RPM Range. Big Block Chevy 396-454 1965-1996. 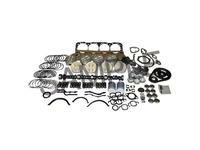 Hydraulic-(Thumpr™) High performance street, stock converter ok, best with 2000+ converter and gears, choppy/thumping idle. 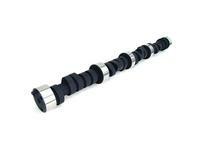 Thumpr™ Hydraulic Flat Tappet Camshafts. Chevrolet 262-400 c.i. 8 cyl. 1955-1998. 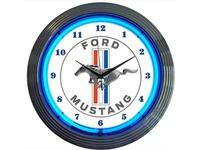 1800-5600 RPM Range. Hydraulic-(Mutha' Thumpr™) High performance street/strip, needs 9:1 CR, 2400+ stall, intake, gears, and headers, rough idle. Chevrolet 262-400 c.i. 8 cyl. 1955-1998. Thumpr™ Hydraulic Flat Tappet Camshafts. Hydraulic-(Big Mutha' Thumpr™) Street/strip, needs 9.5:1 CR , 2800+ stall, intake, gears, and headers, very rough idle. Chevrolet 262-400 c.i. 8 cyl. 1955-1998. 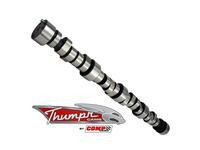 Thumpr™ Hydraulic Flat Tappet Camshafts.